Imagine owning a fun and financially rewarding business teaching people how to dance. You can when you open a dance studio. While people have always loved to dance, an increasing number are enrolling in dance classes thanks to the popularity of television shows such as So You Think You Can Dance and Dancing With the Stars. You can offer just a few classes that you teach yourself or offer a variety of classes with a large staff of dance instructors. 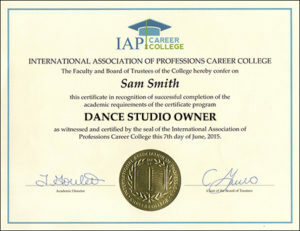 You can open a dance studio that provides formal training for the serious dance student or one that provides less formal instruction for recreational dancers. You can open a dance studio offering dance classes to all types of customers, or you can open a dance studio that caters to a select type of client, such as preschool children or future brides and grooms preparing for their wedding dances. 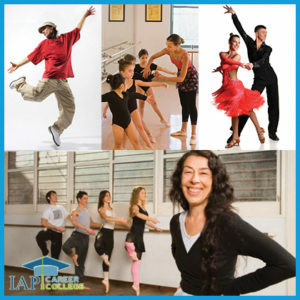 Your dance studio could offer open or drop-in dance classes, where anyone is free to join a class without prior registration, or scheduled classes, where students sign up in advance and meet for a certain number of dance classes over a period of time. You can also choose from among numerous dance styles when you open a dance studio — from classical ballet to modern jazz dance, from ballroom dance to hip hop, from fitness dance to fusion, and many more. For example, if you want to offer ethnic dance classes your choices could include: belly dance, Bollywood dance, Latin dance, Irish dance, and more. If you offer formal training, you might make your dance studio a comfortable and nurturing environment for young dancers to learn the beginning steps, or a challenging and competitive environment for dancers aspiring for careers in dance. As a dance studio owner and a business professional in a leadership role, you can earn the respect of clients and be an important part of the arts community. Your dance studio can be a social hub where you develop long-term friendships with employees and clients. If opening a dance studio sounds like the career of your dreams, the FabJob Guide to Become a Dance Studio Owner is for you! 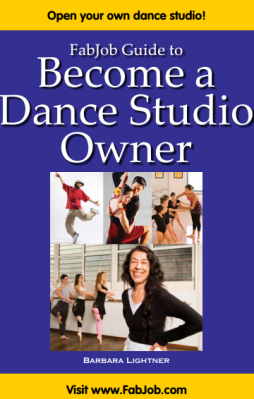 In this e-book you will discover how you can get started and succeed in the dance studio business. You can have all this and more for an incredible price. It can cost hundreds of dollars to take courses on starting a business, and chances are they will not include specific information about how to open a dance studio. The FabJob Guide to Become a Dance Studio Owner contains some of the best business advice you could get from other sources, plus much more. The information in this guide can save you many hours of research, help you avoid some costly mistakes, and give you information you need to open a dance studio and start your own dance studio business. You can earn back the price of the guide your very first day in business. 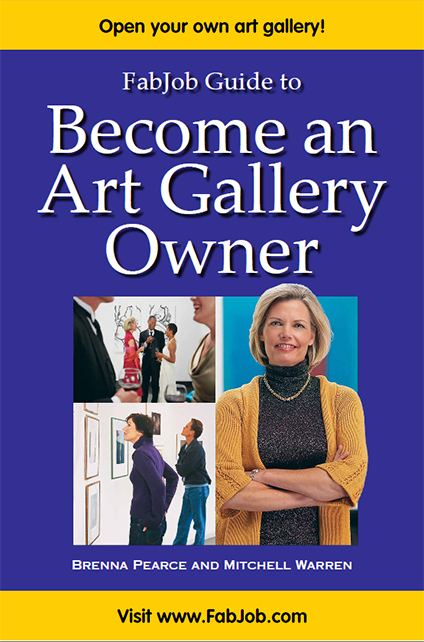 Plus this guide can help you open a dance studio much more quickly and profitably. If you believe you deserve to have the career of your dreams, this guide is for you. It gives you what you need to know to open a dance studio.